Cajun food is comfort food for me; I’ve been eating it since I was a kid. There’s nothing like a good crawfish boil, a bowl of jambalaya, and some fried gator-on-a-stick. Several years ago, I tried my hand at Cajun-style cooking. I’m no pro, and not really authentic—not actually being Cajun, and not learning from anyone Cajun—but it’s been fun to experiment. 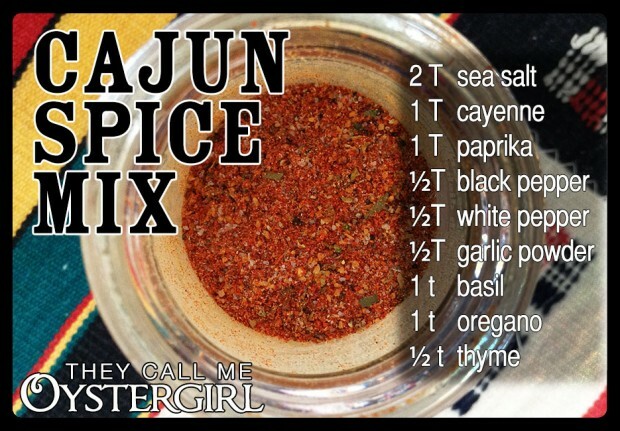 In addition to the Cajun holy trinity (mirepoix), Cajun seasoning is the cornerstone of Cajun cuisine. I’ve used pre-made spice blends and they’re good enough, but I like to make my own versions of things. After playing around for a few years, I’ve come up with this combination. It goes well with my jambalaya recipe. Note: I use this mix in addition to adding salt and pepper to each ingredient separately. I also generally use filé powder (ground sassafras leaves), an earthy spice which also serves as a thickener. This will make just about the right amount to fit into a standard store-bought dried-herb jar. So it’s recycling, too!